Minnie had not moved since finishing in Portland last year, spending the winter in Bygrave, Hertfordshire. Mark Donnelly had driven down from Banff in Scotland to meet up in Cambridge. We set off early to collect the Minnie from Bygrave and towed her down to Portland, arriving in the early afternoon. Launching on the Weymouth and Portland Sailing Academy slipway was straightforward. The facilities are great. There is a good slipway, plenty of parking for car and trailer, as well as a good restaurant. The car was parked in the Academy car park. 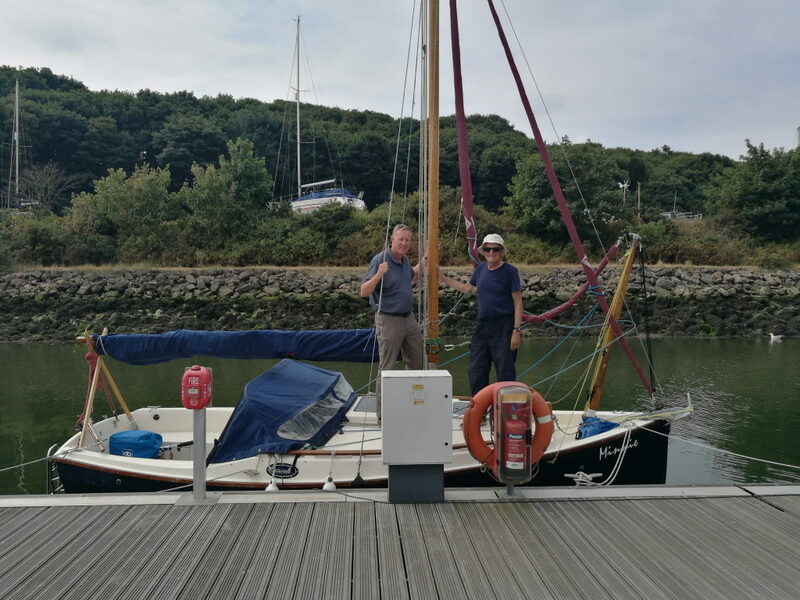 Having launched, put up the mast and generally prepared Minnie for sea, we retired to the bar for supper and managed to watch the England match. The hot and sunny day ended with a great sunset as we settled down for our first night aboard Minnie. 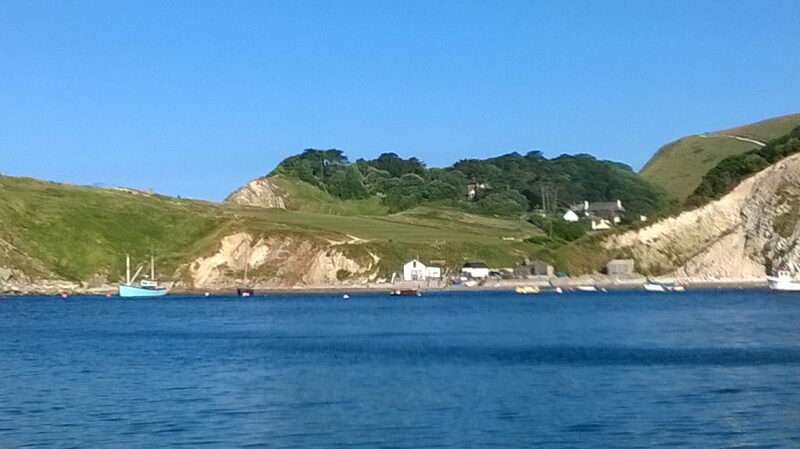 Next morning at 11.30 we cast off, the tide was with us, the wind was very light and generally against so we sailed, drifted and finally motored into Lulworth Cove. Arriving at 16.30 we anchored in the NE corner. 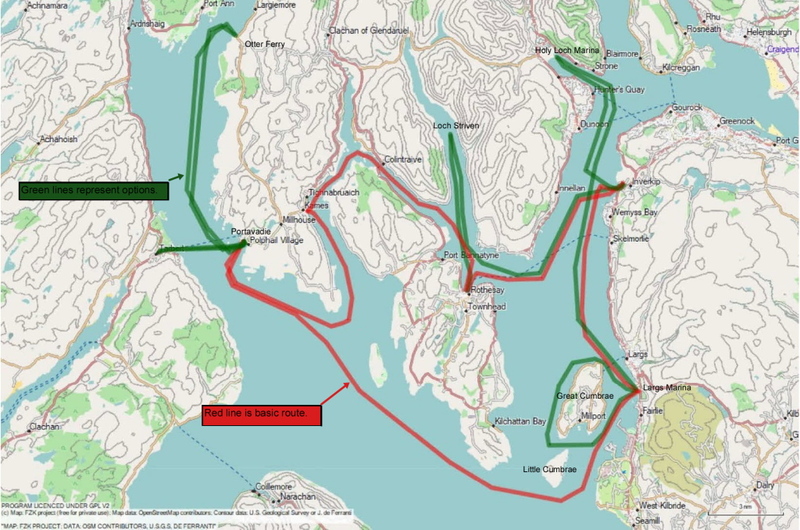 It is a spectacular anchorage that we suspected would normally be a busy destination for local boats. Fortunately, despite the glorious weather, we were one of only three boats at anchor. Inflating the dinghy took less than 15minutes and after a quick row ashore, we wandered into the village, which was packed with tourists. The Lulworth Cove Inn provided pie and mash, followed by an excellent apple and sultana crumble. Other dishes are available. Back on board, the dinghy packed away, we realised we were in for an uncomfortable night as the swell rolled into the bay. We moved to a more sheltered spot, but were still lying across the swell. 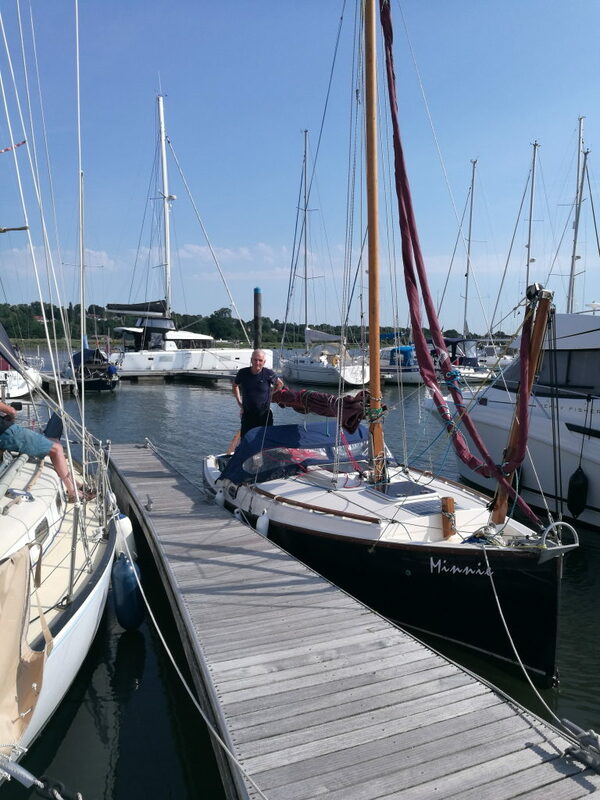 After some pathetic efforts to throw the kedge far enough astern to allow us to align the boat to the swell, a neighbour, clearly aware we were failing miserably, motored over in his tender and laid the kedge for us. What a difference the better angle made. With thanks and comfort all round we settled down for a very pleasant night at anchor. Mileage 8 miles. We tried to contact the firing range at Lulworth but got no response. Deciding they don’t do war at the weekend we decided not to wander too far away from the coast and take the shorter more straight line route. 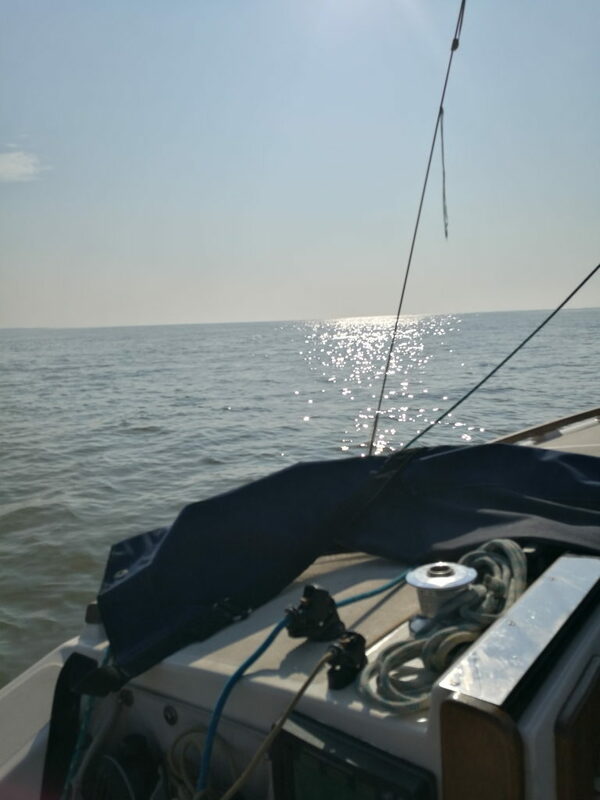 We departed 07.00 to fully catch the East going tide, motoring the 8 miles to St. Alban’s Headland into an easterly wind. At the headland we hit about half a mile of spectacular turbulence, but motored through and it stopped as suddenly as it started. The good book says there could be slightly confused water. I have not passed through the roaring forties, but I imagine it is something similar. That will teach us to take the straight route closer to land and not pay more attention to the almanac. 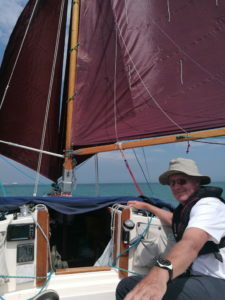 Bearing away we were able to motor sail and finally sail towards The Needles, entering Yarmouth Harbour at 1600. “No room at the inn”, so we went along side long enough to get supplies, a drink and a pasty before heading off to the Hamble. 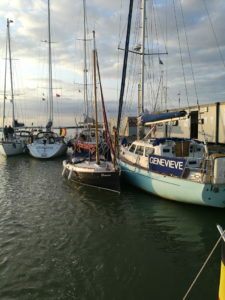 We hugged the coast of the Isle of Wight to avoid the stronger tide then made a dash across to the Hamble and Mercury Marina, arriving at 20.00. Good facilities, although the bar restaurant is currently closed having no manager. 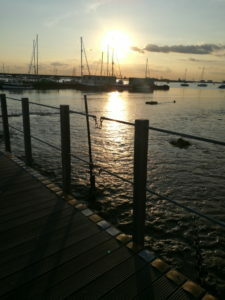 It meant a trip into Hamble village for a cool drink and some supper. Plenty of pub restaurants to cater for all tourists and sailors. A good stop over and not too far up the river from Southampton water. The next day Ross, Mark’s friend, drove me to Southampton and I took the train to Weymouth to collect the car and trailer, bringing them back to a more convenient location in The Hamble. We departed 09.15. 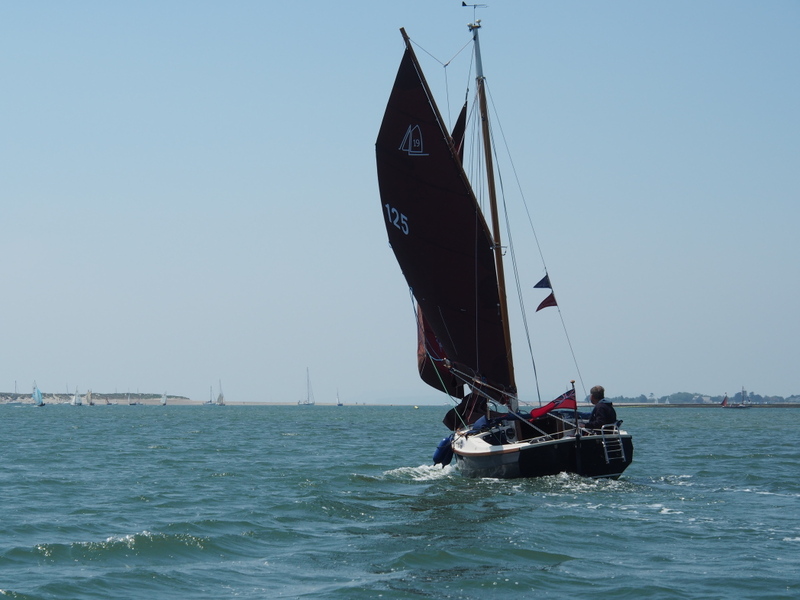 NE winds allowed sailing across the Solent passing Portsmouth entrance at 12.00 and entering Chichester harbor at 14.15. We contacted both Sparks and Northney Marinas to be told “No room”. 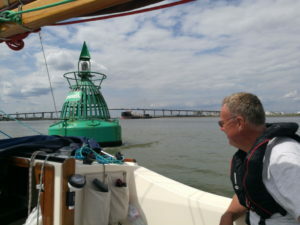 Eventually we picked up a mooring buoy just outside Sparks Marine on the edge of the Channel toward Chichester Marina. As the tide rushed out of the harbour we moved to a deeper mooring to avoid going aground and settled down to a choppy night. Dinner was a 3 tin special, chili beef, new potatoes and peas. Washed down with a not so cool but well-earned beer. By now we were a bit spooked by the lack of space in the marinas, so we phoned ahead. It had been another hot and sunny day. 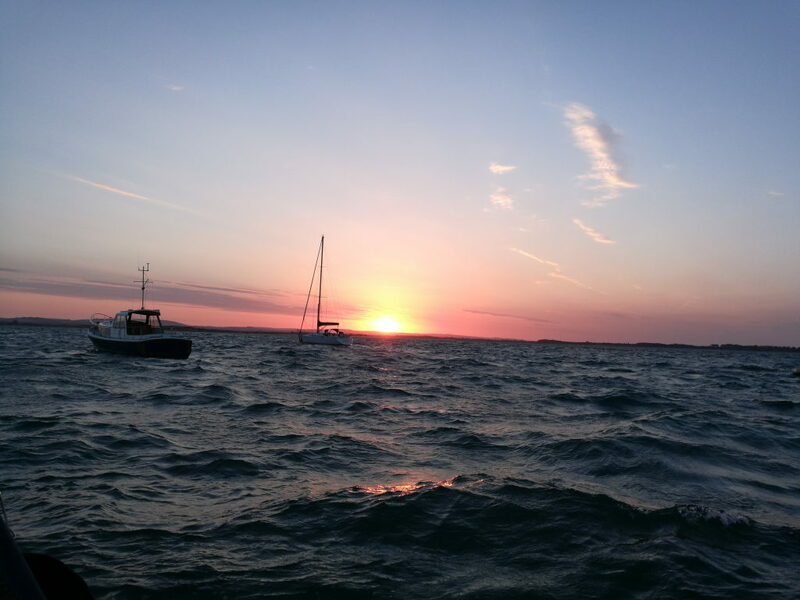 The following morning the sun rose across Chichester harbour and despite the bumpy night our spirits were high. 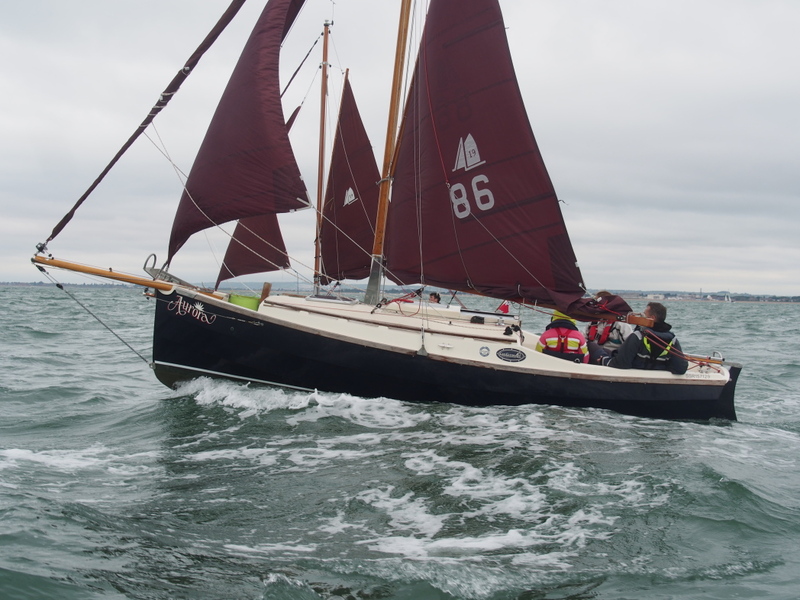 We cast off at 06.15 and motored to the harbour entrance and sailed 7 miles to the Looe Passage entrance, then, with what little breeze there was now dead on the nose, we dropped sails and motored on towards Brighton with the tide with us. After a few hours of hot weather and slightly choppy waves the engine spluttered and stopped. 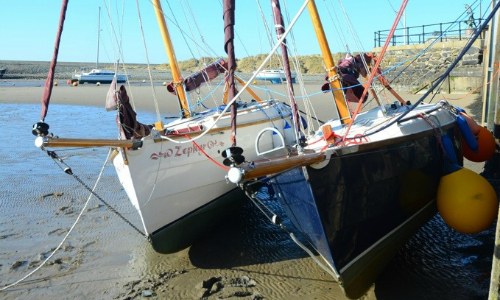 There was now no wind and we started to drift on the tide. About a mile off shore the sea was still relatively shallow at about eight meters so we anchored and started checking. It was apparent that no fuel was getting to the carburetor. After much head scratching, poking and prodding, we discovered that the fuel hose had worked loose. Obviously this was stopping the supply of fuel to the engine. With it properly connected up we were good to go. 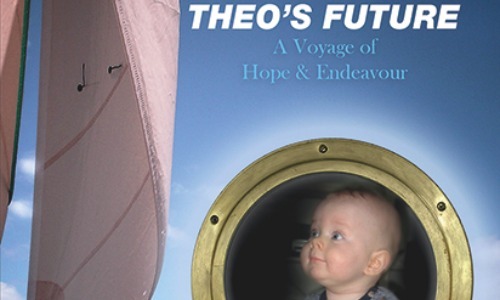 We lifted anchor and continued motoring, this time more inshore to find smoother seas. After all that brain work we settled down to a much deserved brunch. Not wishing to be too healthy, we broke out the pork pies with pickle. This cheered us up no end, especially when washed down with lashings of Lemon and ginger tea. The simple things in life are best, helped by the fact we had clear skies and a warming sun. 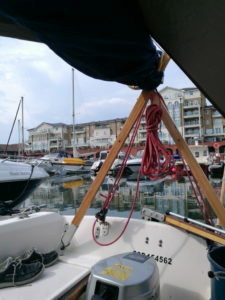 We arrived at Brighton Marina, entering at 15.15, this time there were plenty of berths available. 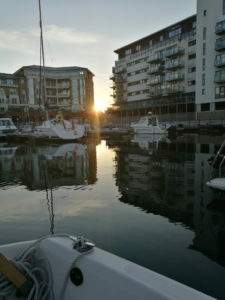 A modern and well located Marina just a short walk from Brighton town centre. 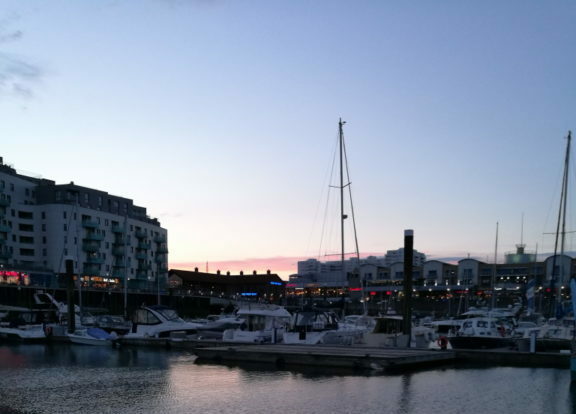 The Marina complex has its own shopping mall with a fuel station, supermarket and plenty of places to eat and drink. Another good stop over. Dinner, another 3 tin special, prepared with great skill by mark. We then settled down and listened to the England / Columbia match. There was plenty of noise from the harbour square where a large cinema style TV screen had been erected for showing the ongoing sports fest of football and tennis. We were glad to find the British held the moral high ground and the good guys won out in the end. That excitement over and it was off to bed. Departed 10.15. Light fluky winds from the west. Initially there was quite a fog and we had concerns that we might have to negotiate the shipping channels without the benefit of clear vision. Fortunately the fog was soon burned off by the morning sun. 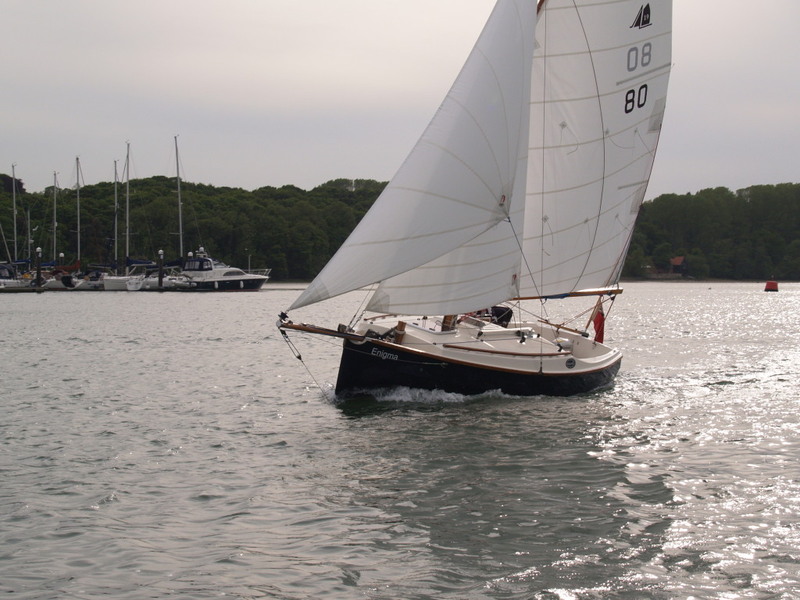 We sailed on the following breeze with preventer and poled out staysail, wished we had a gennaker or even a large genoa. We made good progress close to the spectacular shoreline of Beachy Head. It’s hard to believe the light house is so dwarfed by the chalk cliffs. 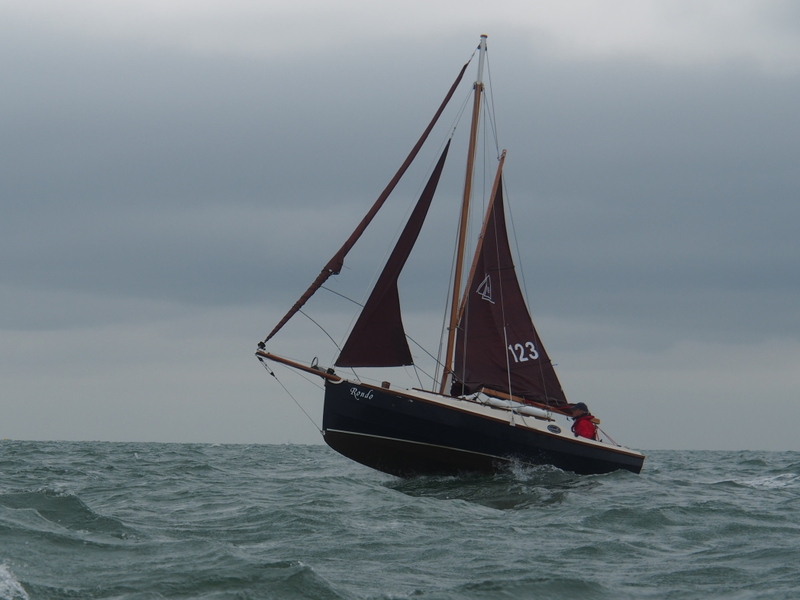 The wind was light and fluky and often against us making progress to keep up with the tide very difficult. 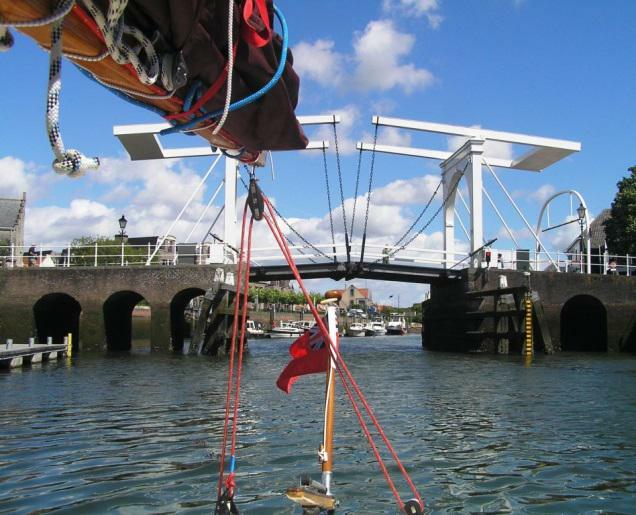 To not lose the benefit of the tide, which was currently our main propulsion, we alternated between sailing and motor sailing. We arrived at Sovereign Yacht Harbour Eastbourne at 15.00. It has the same managing company as Brighton and was a similar layout. With houses and flats surrounding the pontoons. Nice, but not so well located to the town. Again there were shops and restaurants within the complex. 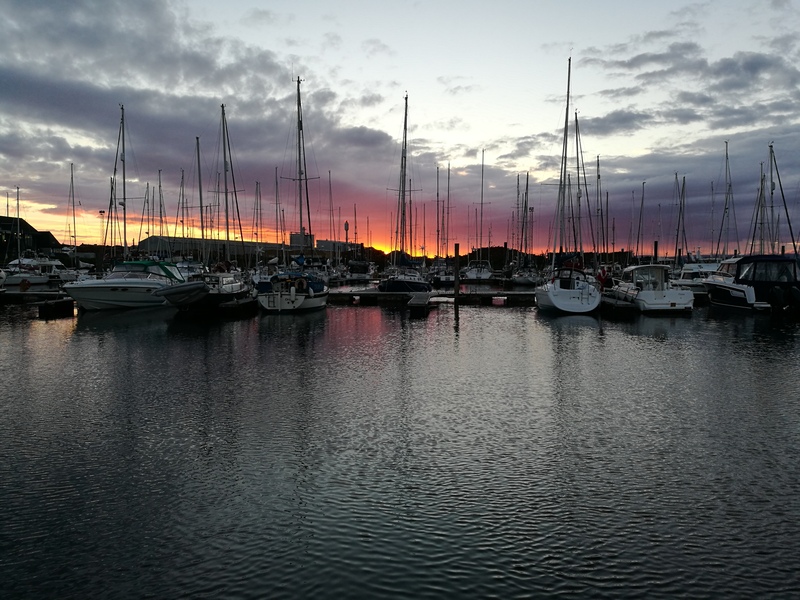 Interestingly there was a significant increase in small hobby type fishing and motor boats birthed here compared to the marinas in the Solent that we had just visited. Again hot sunny weather with great sunsets and sun rises. Planning to leave Minnie for ten days I managed to negotiate a deal to reduce the cost marginally. 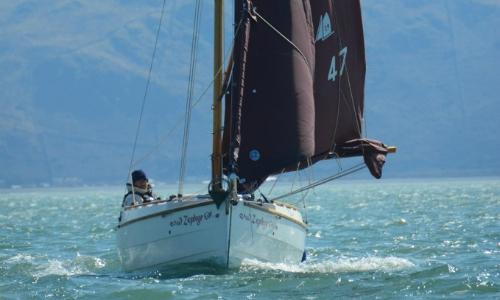 On the 6th July we departed Eastbourne by train for the Hamble to participate in the Round the Island Race sailing on Mist, a 32ft Nicholson. 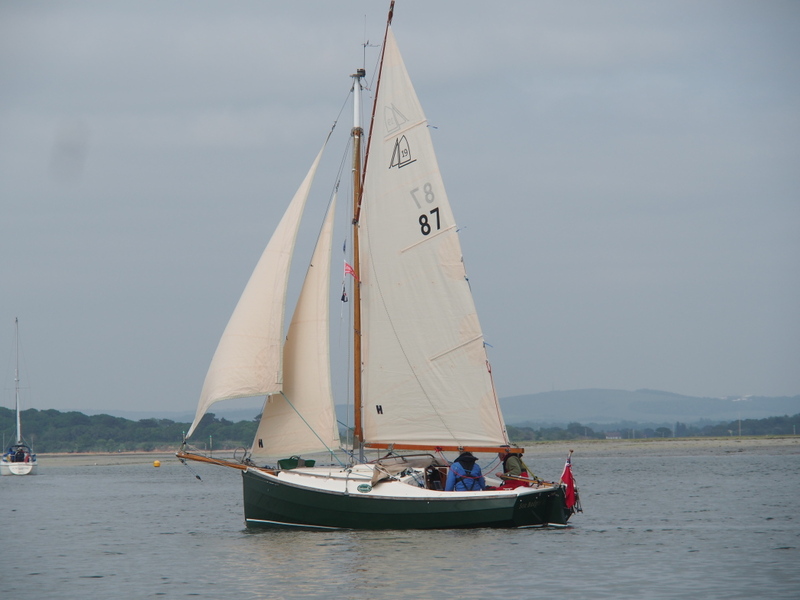 This is owned and skippered by Ross with a crew of Graeme, Lee and Mark and, for this excursion, yours truly. 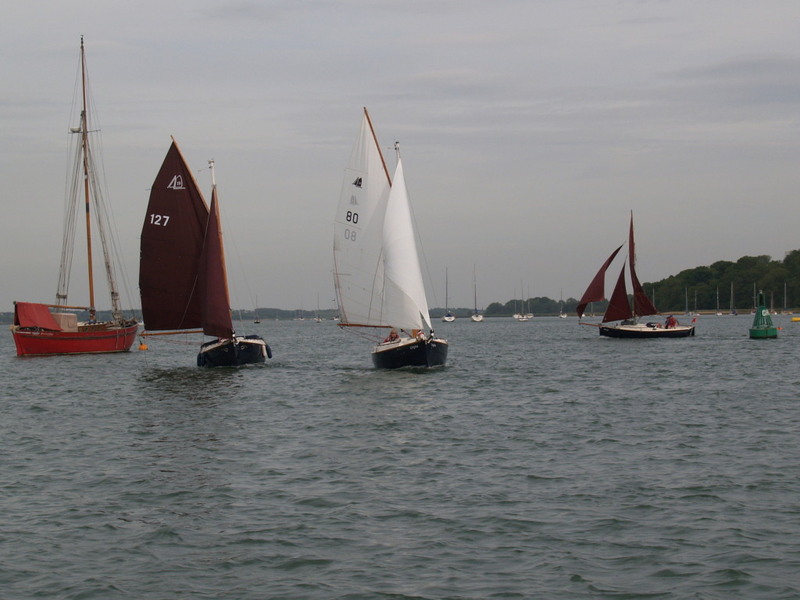 The race was fascinating, leaving the Hamble at 06.00 to cross to just off Cowes for our 08.00 start. It was a spectacular sight to see 1600 boats beating down towards the Needles with the tide. 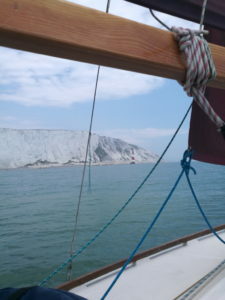 Winds started to drop as the tide turned and we were struggling to make the turn passed the Needles to the south of the island. 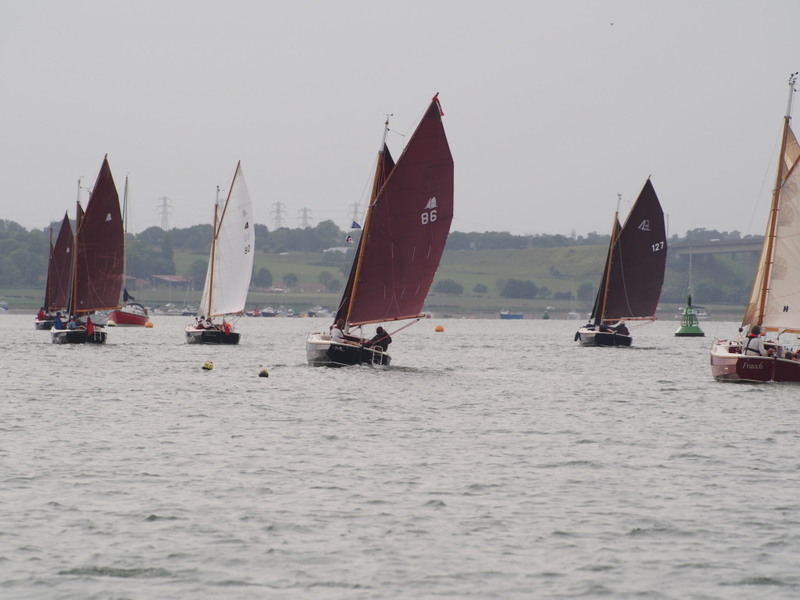 Many boats failed to beat the tide turn and were pushed back towards Cowes and retired. Fortunately, with some smart tacking and playing the wind shifts we sneaked around and passed the Needles to continue our race. 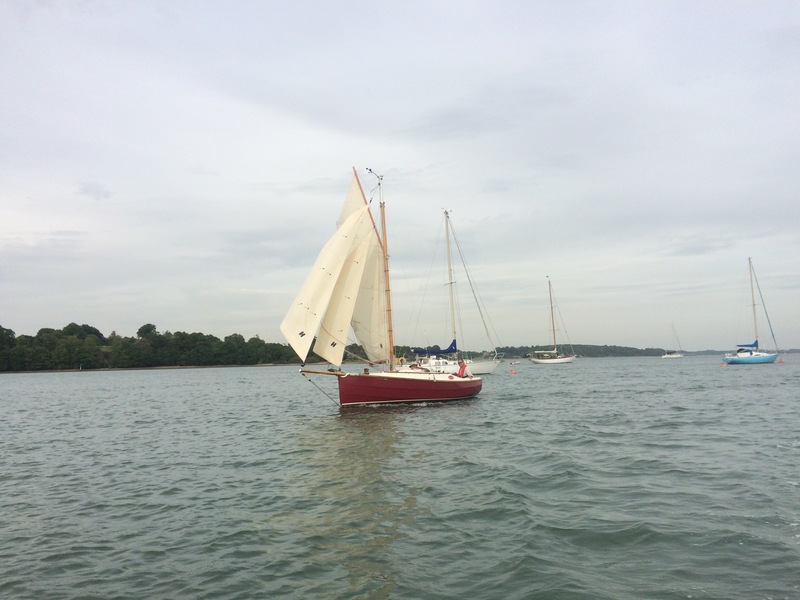 Winds were light initially along the next reach but the tide was with us and the gennaker provided some drive. Noticing boats inshore had no wind, we stayed farther out to benefit from fairly constant but light breeze. 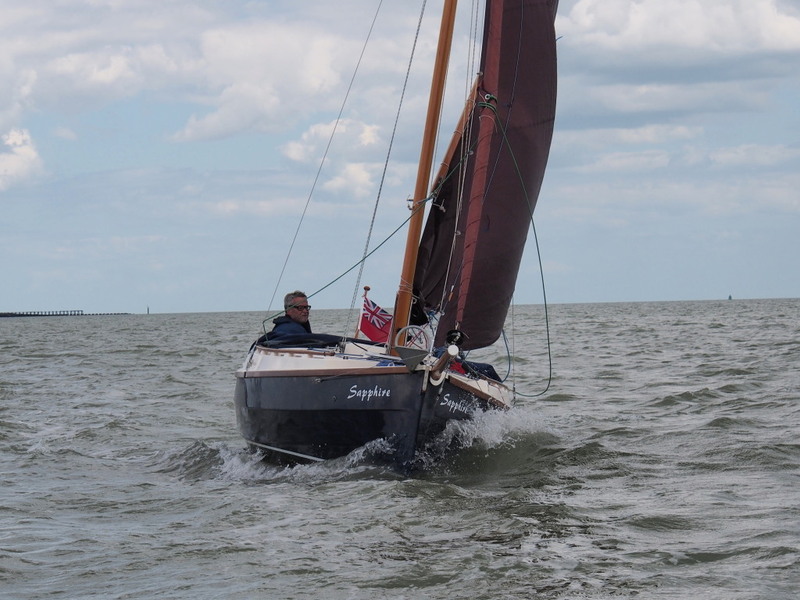 As we passed Ventnor there was a cheer from a nearby yacht…turned out that England had scored….Ross, ever competitive, concentrated on the business in hand and we overtook several boats. 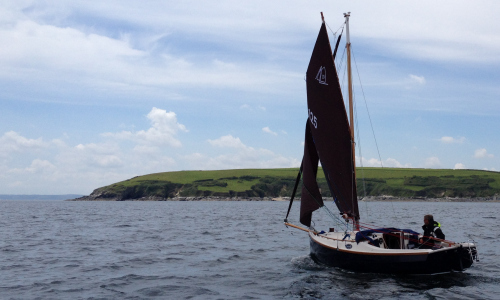 On the final stretch Ross kept inshore as close as he dared without going aground. This was to avoid the ever increasing tide pushing us back. This was close racing as there were plenty of boats doing the same. These had to be maneuvered passed or around to avoid a collision. This required a good judge of speed and distance and nerves of steel. Boats passed so close you could almost step aboard. Exciting stuff. 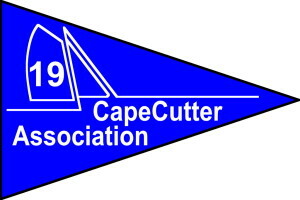 At the finish we were 1st in Camper and Nicholson Production Boats, 2nd in class 7B ISC handicap, 7th in the Day Glow green start ISC handicap and 10th overall in the ISC handicap from over 600 boats starting. A good day’s work and everyone was pleased with the results. My contribution? I kept out of the way of a crew who clearly knew what they were doing…..I was however complimented by the skipper on the sandwich I made. Clearly a pivotal role. Back in the marina we were treated to some great food and wine courtesy of Anya, Ross’ wife, who joined us. 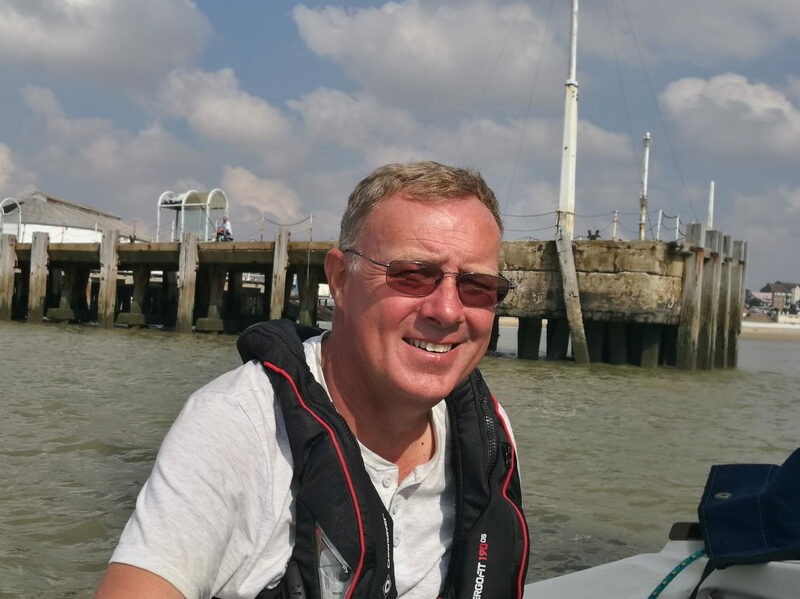 A great experience and well worth taking time out of Minnie’s adventure to participate in, what must be, one of the highlights in the sailing calendar. Next morning we set off with car and trailer to Woolverstone, parking the trailer and driving back to Cambridge. 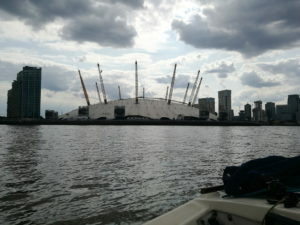 Mark set off for London the next morning to see friends and enjoy a spot of sailing on the Thames. I headed for Stratford upon Avon for a few days culture. Interlude over, Mark and I set off by train to Eastbourne. The 15th was a rest day as there was no wind. On July 16th we departed the lock at 06.45 and sailed to Dungeness, keeping outside the firing range exclusion. It was reassuring to see the safety boat in attendance as there was plenty of firing going on. Dungeness power station was a dominant feature for a couple of hours. An imposing structure with miles of power cables radiating out from it across the landscape like a giant spider’s web. Not the most attractive vista, but none the less interesting. After Dungeness the wind dropped and once again we motor sailed. Off Dover we wondered if the Ferries wiped out many yachts as they sped in and out in large numbers. It never ceases to amaze just how quickly they appear on the horizon then pass you. As advised by the Almanac, we kept 2 miles off shore and listened to the Port VHF. All was calm. 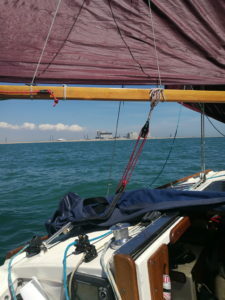 We took the inshore route past the Goodwins to Ramsgate arriving at 19.00. Dinner at Weatherspoon’s, cheap and cheerful. 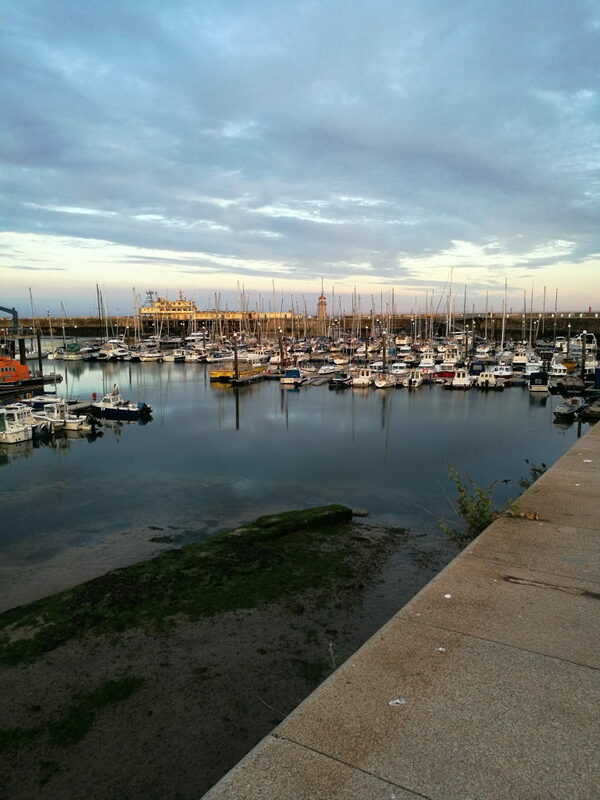 The marina is right on the town which has all you need, but as a holiday destination it’s a bit tired looking. We departed 08.30 sailed and rounded North Foreland at 11.30. Wind on the nose, little tidal support and a confused sea. Having turned the corner the wind was still on the nose and light. Fearful we would miss the tide, which runs strong, we decided that we wouldn’t make any progress by tacking up the coast, we dropped the sails and once again fired up the iron donkey to motor to Queenborough. We had to push the tide for the last two hours. Saw 3 porpoises off Sheerness, always a delight. Encountered interesting tidal currents as we passed into the Medway. 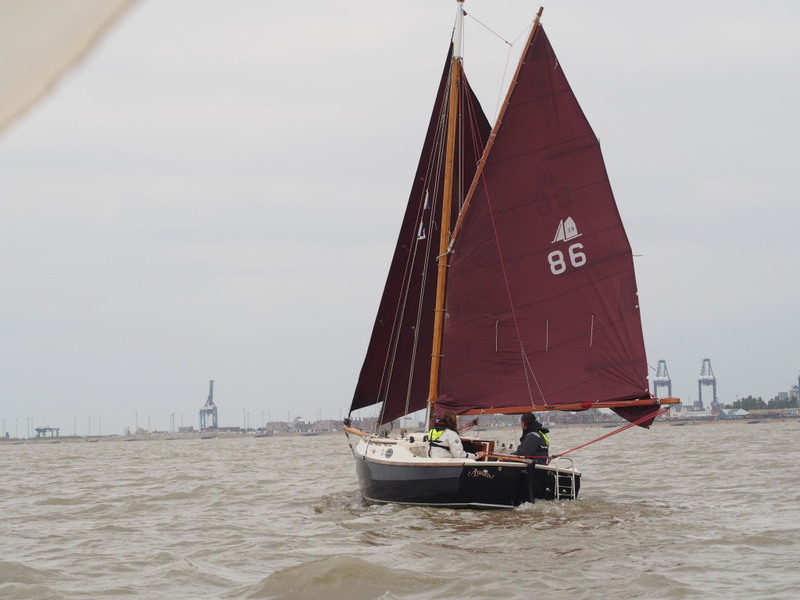 We rafted up next to a ‘Vancouver 38’ at Queenborough. There was no hope of attaching shore lines, a bit like a molehill on a mountain. Fortunately no other boats arrived to raft outside us. We could have ended up as a rather squashed filling in the sandwich. Still, it caused much delight and plenty of conversations with the other boat owners around us. The German crew behind declared Minnie was the signet nestled next to its mother. A good dinner in the Flying Dutchman Pub restaurant which was a short walk into the village. Not brilliant facilities for a marina with the shower block a good walk away. We would probably have come out dirtier than when we went in. They’re maintained (or not) by the council and best avoided. Departed 08.30. 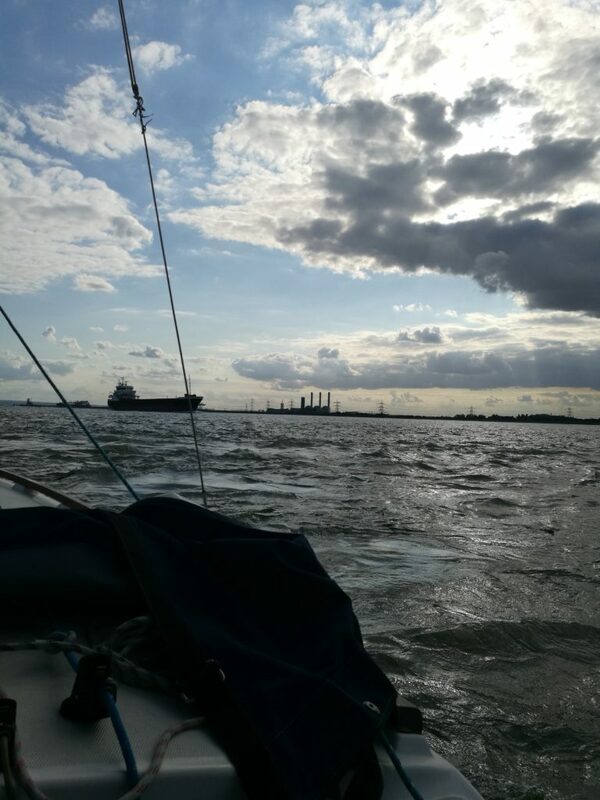 Sailed for an hour down and out of the Medway. 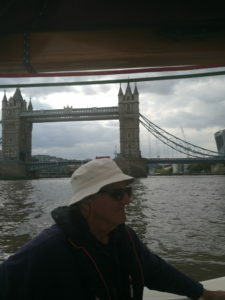 Then the wind died, so we motored to London. Nice to see seals in abundance off Canvey Island. A good Sign of a healthy river Thames. We passed under the QE2 Bridge. Then onto Fords at Dagenham, the Thames Flood Barrier, and the Cutty Sark. Just by the Dome, we were passed by some Navy Special Boat Service characters dressed all in black, looking “well hard” and riding seriously powerful RIBs having what looked like a great time. 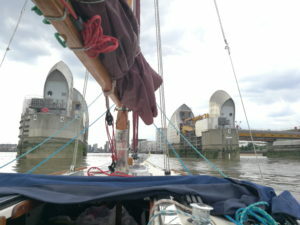 Then finally we passed around The Isle of Dogs and into the City and finally Tower Bridge. We considered going through to London Bridge but a number of tourist pleasure powerboats created so much wash that we chickened out. The wash was pushed back and forwards between the banks causing waters worse than on our crossing of the Irish Sea last year in a force six. 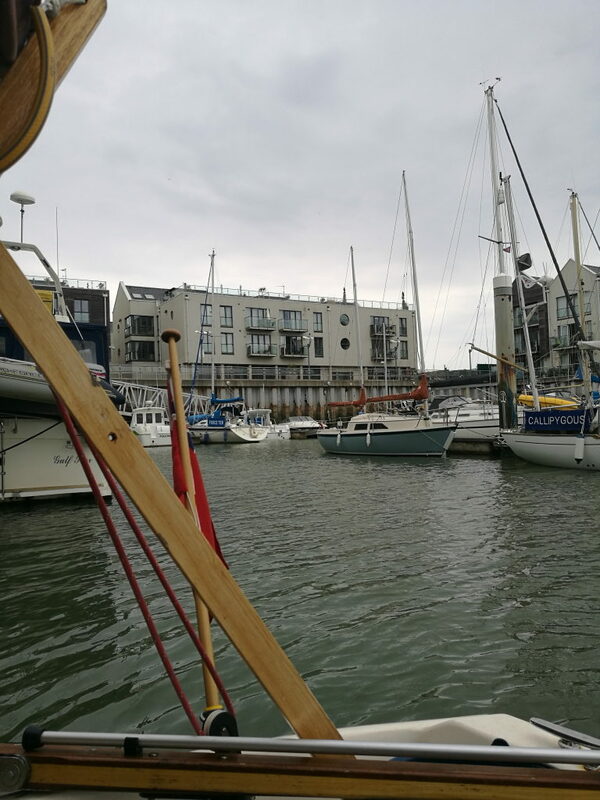 We again saw some Belgium boats that we’d met in Ramsgate and Queenborough. Whilst chatting outside St. Katherine’s Dock, we were called on the VHF by the St. Katherines Harbour Master to see if we wanted to berth there, “nice boat” he said. 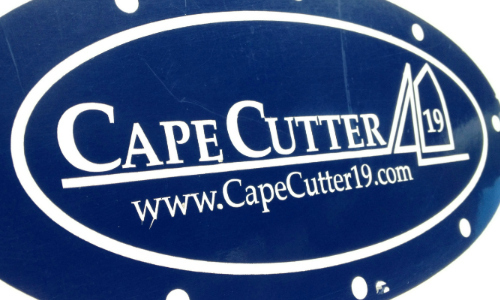 Once again the pretty little Cape Cutter stole the catwalk. 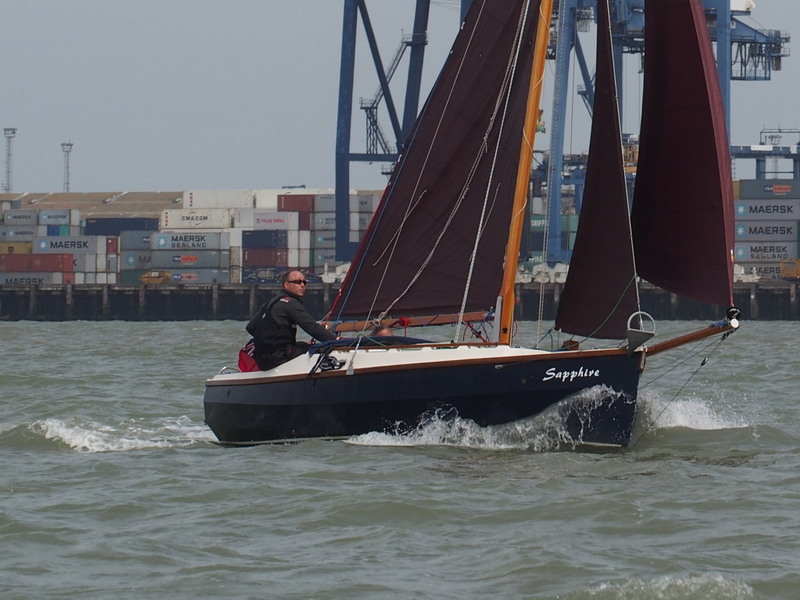 Even the Belgium’s stole a photo of Minnie as we declined the offer from St. Katherine’s Marina, said our farewells and headed for Limehouse Basin, locking in at 17.00. 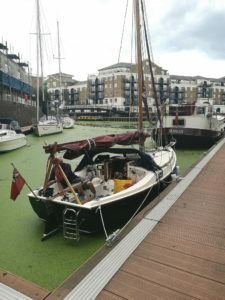 Limehouse Basin was full of live aboards, canal boats, duckweed, plenty of swans, oh and a few yachts. An interesting and pretty London stop over. Although getting some fuel required a long walk up the Commercial Road to hunt down a petrol station. As we walked our senses were bombarded with the sights and smells of the diverse cultures in the East End of London. Bangladeshi, Indian, Asian, and Arabic food all tantalizing the taste buds as we walked through the busy streets. I even spotted a fish and chip shop. Almost worth the walk and set us up for supper and a well-earned pint. We met with Dave W. (an old sailing mate) and had dinner in a craft beer pub. We all had a very good ‘hanger steak’ and chips, rare but not bloody. The deserts were not so exciting so it was back to the marina. The ’Cruising Association’ Bar had a pretty beer garden, served “poor” Doom Bar ale but excellent blackberry and apple pie. We said Farwell to Dave, and it was off to sleep. Overnight we were disturbed by a hungry swan pecking away and nibbling at the small amount of weed on our water line. I can think of worse ways to be disturbed. We had booked a lockout for 07.30. But were delayed, waiting for two other boats who had also booked out but failed to show. Finally the lock keeper, satisfied they weren’t coming, let us into the lock and out onto the river. Leaving the lock just before 08.00, we had a tide to catch, or rather not to miss, so hurried out. It was interesting listening to the harbor authority on the VHF radio as they controlled and monitored the shipping in, out and along this narrow but busy waterway. 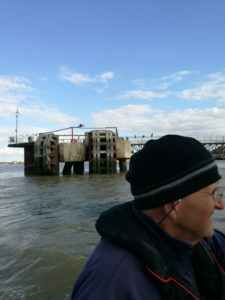 We even managed a mention when Mark strayed across an apparently clear river to the wrong side of the channel to take a nose at some old tug boats moored up. They understandably take the Port starboard lanes very seriously. Big brother is definitely watching, so be warned. 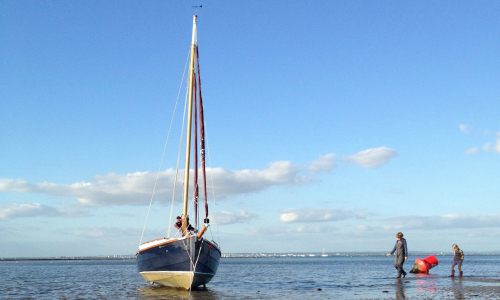 The tide was already ebbing and we had an uneventful trip back to Queenborough. More seals on the foreshore and plenty of sun. The wind was on the nose as was becoming traditional, except for the last hour or so when we managed some good sailing up and into the Medway. We berthed in splendid isolation on the pontoon at 15.30. 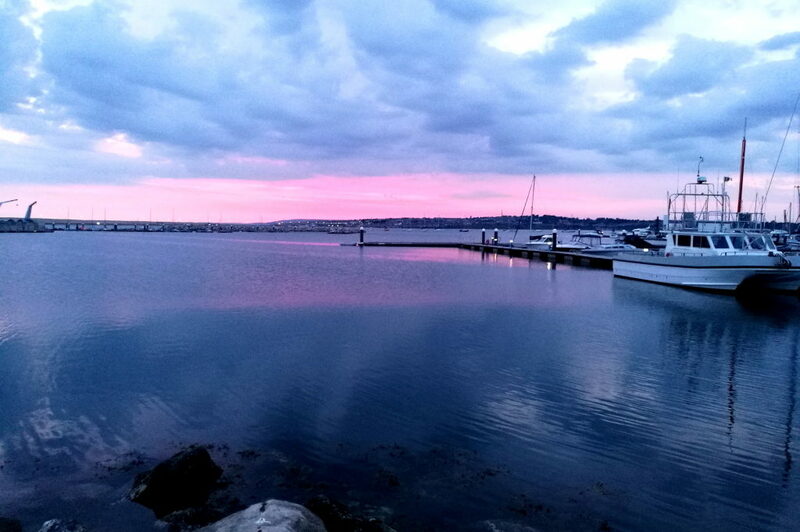 Another good meal in the Flying Dutchman, followed by another spectacular sunset. Like the ‘on the nose wind’ the good weather and fine sunsets were also now a feature of the trip. These were appreciated and enjoyed. 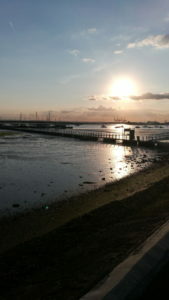 Queenborough is the best all tide stop over for those wishing to travel up the Thames to London in one tide. Although not the best facilities the village has all you need and the people were very friendly and helpful. Just don’t expect to shower. Cast off at 07.00, slack water. 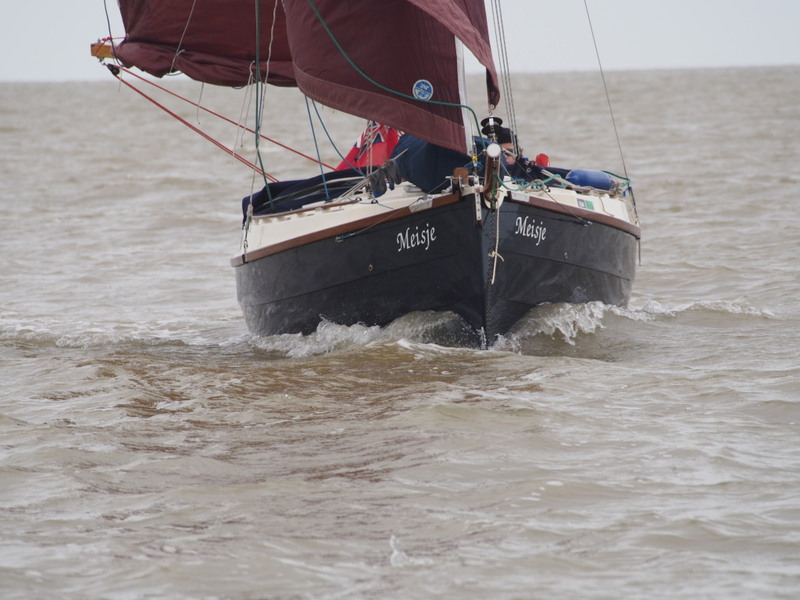 07.20 raised the main and stay sail followed by the Yankee shortly after. 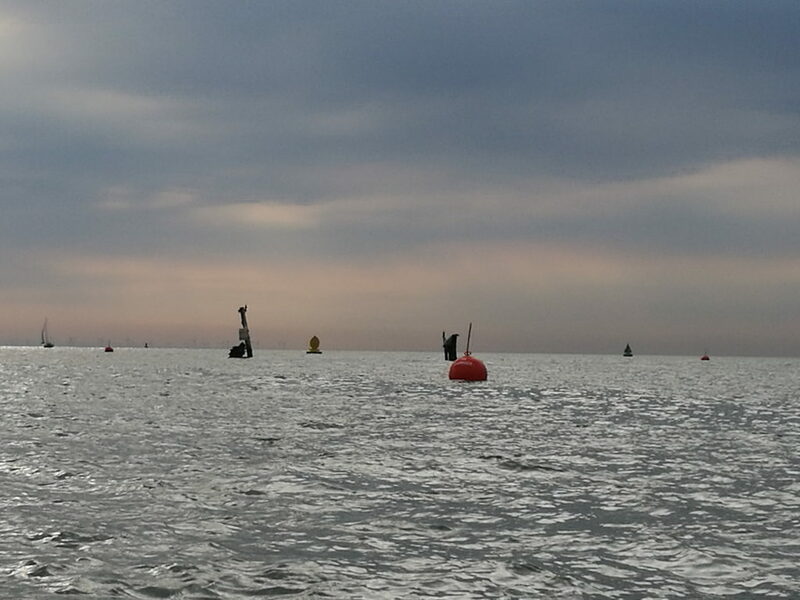 We passed the exclusion buoys around SS Richard Montgomery the WW2 shipwreck packed with over 1000 tons of explosives. Understandably she is well buoyed and constantly monitored for fear that she is becoming unstable. It is said that if she were to blow up most of Southend on the northern shore opposite would be flattened. Needless to say we gave her a wide berth. With the ebb tide we sailed past the Maplin Sands spotting a dolphin before reaching the South Whittaker at 11.00, then turning and passing through the Wallet Spitway near low water. 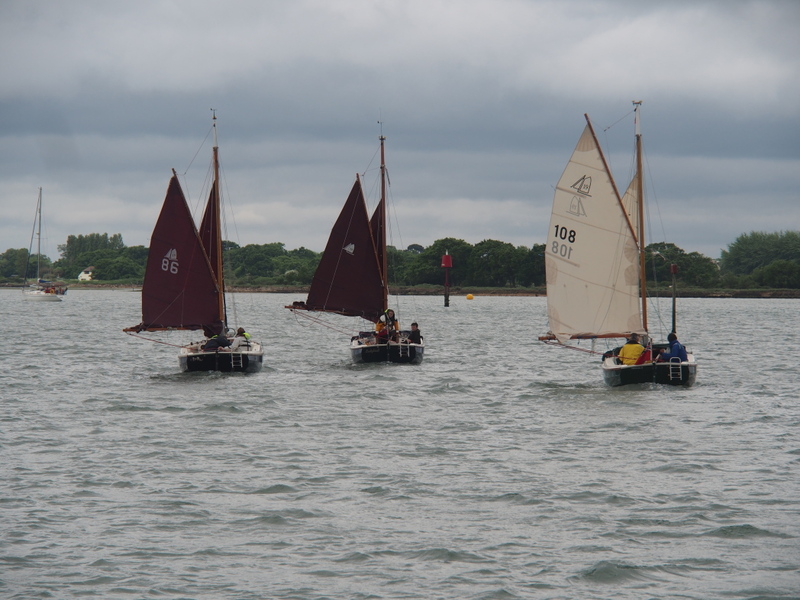 As we headed into the river Colne and on towards Brightlingsea we started to get a little tidal support. 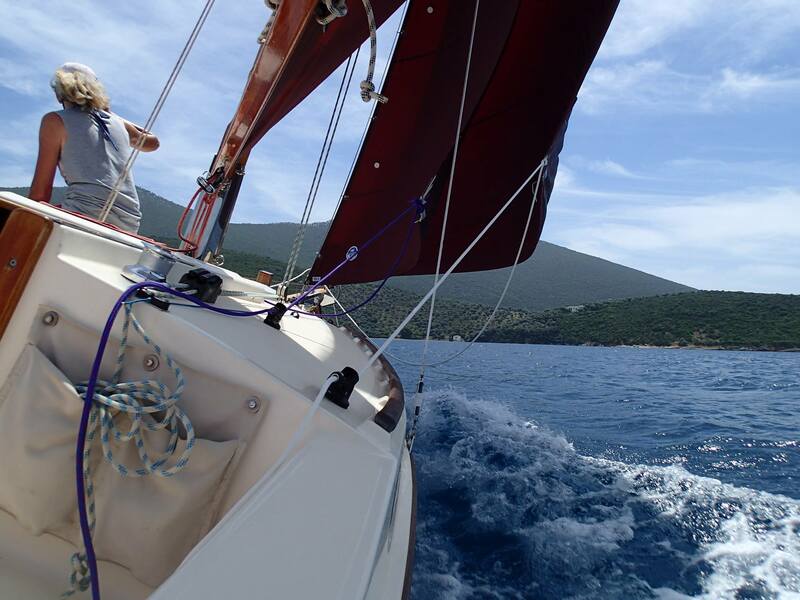 Glorious weather and great sailing. We saw more sailing yachts than we had seen on the whole trip. Lots of Gaffers of various sizes sailing up from London and others coming south and heading into the Blackwater. We subsequently found out there was an “Old Gaffers” rally with a race the following day. Unfortunately the direction of the tides stopped us from watching the race. At 15.00 we berthed in the Waterside Marina, Brightlingsea. The entrance was very shallow and we touched ground. A bit of quick thinking and with Minnie well healed over we were quickly off and into the Marina. It was a bit of a surprise to us both as we entered with the centerboard up as a precaution. It’s clearly a narrow channel at the entrance to the marina. All excitement now over, we thought…more of which later. 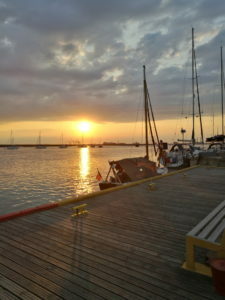 Brightlingsea has a friendly Sailing Club providing a pint and a shower. Not a great deal else to see close by, but an OK stop over. 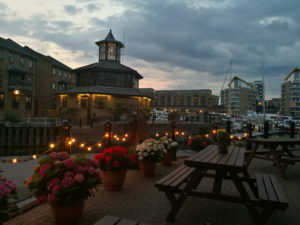 Whilst sat aboard with a cheese and wine supper we were treated to live music from the bar restaurant located below the flats in the small marina complex a short distance away. A blast back to 70,s glam rock. 07.30 Left marina. Problem, the centerboard wouldn’t drop. Clearly the grounding on the way in had picked up a stone. Mark steered down the river whilst I practiced a broad range of expletives before calming down and removing the inspection panel. Water trickled into the boat, but this was substantially reduced when Mark sat out to lean Minnie over. It was just like dingy racing but slightly bigger. Short of a large hammer, I managed to get a few mm of movement and by alternating between hauling the centerboard up and knocking it down with a wrench and other inappropriate tools. After a further 10 minutes of tapping and pulling it came free, relief all round. The bilge pump soon dispatched the couple of buckets of water and we were off, high spirits restored. 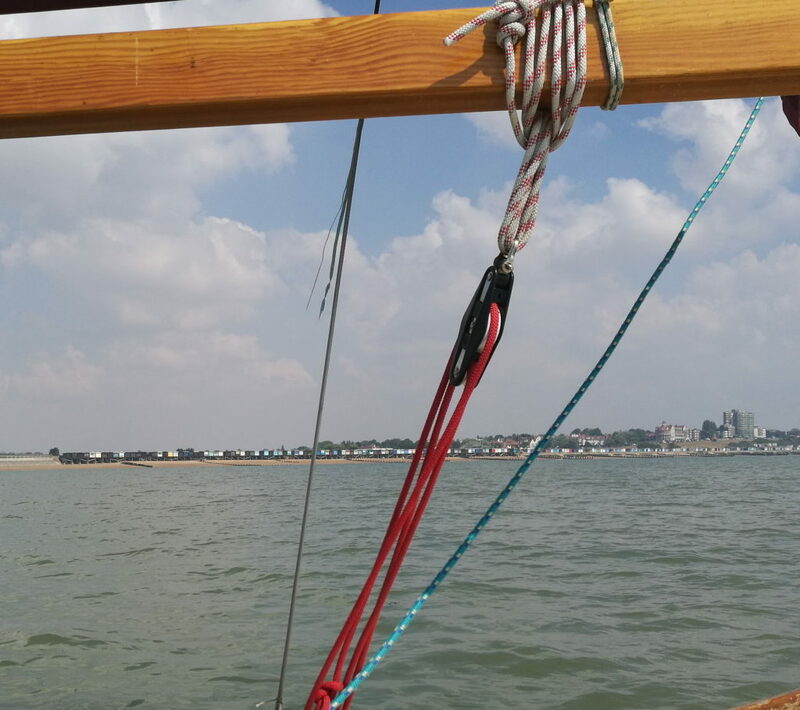 The wind was light from the south east but with the tide with us we made steady progress sailing past Clacton and Walton before heading north into Harwich / Felixstowe. 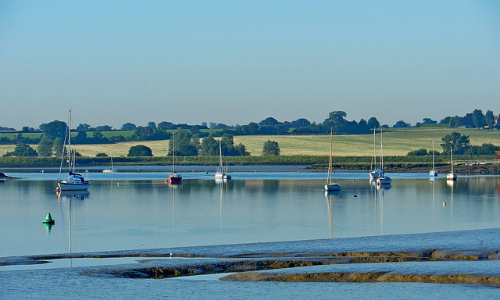 There were a lot of boats sailing and racing in the estuary which was a refreshing change. We had to make a few changes of course to avoid interfering in what looked like some pretty serious racing. The south coast with the exception of Falmouth and The Solent, seemed empty by comparison. About 8 miles up the Orwell and we were in Woolverstone Marina. Home and journey’s end. A job well done. 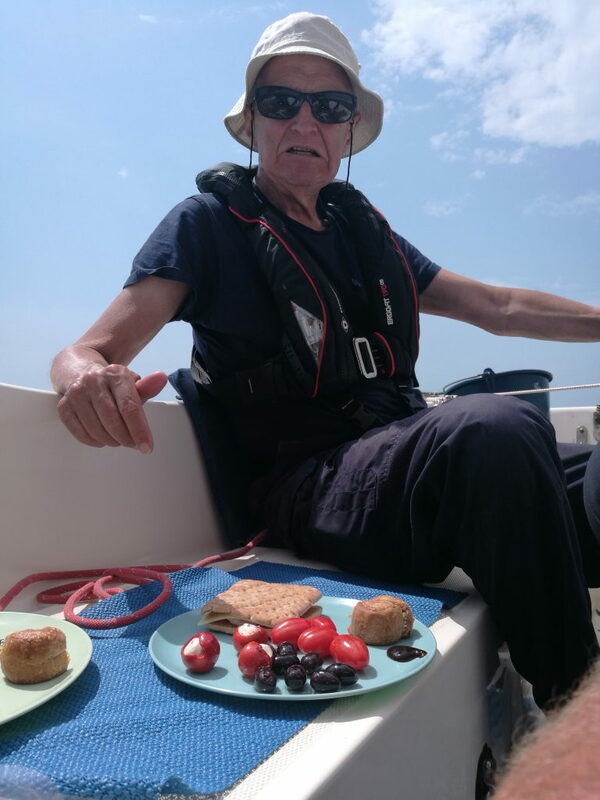 Many thanks to Mark who has sailed on Minnie for the last 1000 miles, put up with muesli for breakfast, taught me how to trim sails (work in progress) and has been a great guy to sail with through thick and thin. For me and Minnie this is the end of our adventure, she is up for sale. Whether exploring the shallow backwaters or coastal voyaging she has always been up to the job…..certainly tougher than I am.